Last week on the Journeywomen Podcast, Catherine Parks and I discussed how confession, repentance, and prayer deepen our friendships in the body of Christ. Today, we’re going to continue the conversation on friendship with Kelly Needham. Kelly and I talked about something that isn’t a super popular topic of conversation, but that we’ve probably all experienced on some level: unhealthy friendships. We ran the gamut on everything from common signs of unhealthy friendships to how the gospel frees us to really love one another earnestly, since love covers over a multitude of sins. So you’ll know her a little better before we get started, Kelly first began writing and speaking to her husband Jimmy’s fan base in 2008 as they traveled together. 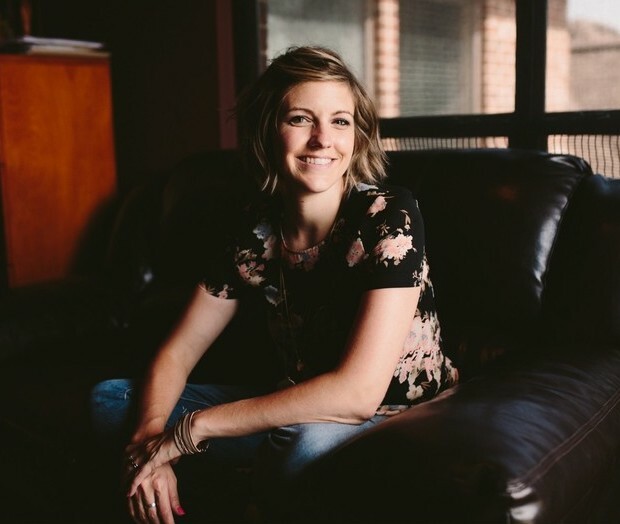 She is a regular contributor for Revive Our Hearts, and her writing has been featured at Desiring God, The Gospel Coalition, The Ethics and Religious Liberties Commission, Eternal Perspectives Ministries, and Crosswalk. What is codependency or unhealthy friendship? Where did this problem originate? What hope do we have despite the reality of the fall? What types of relationships can become codependent? How might codependency manifest itself in a friendship? Romantic relationship? Parent/child relationship? How can we know if/when a relationship becomes unhealthy? What things might we find ourselves worrying about or dwelling on if we are in a codependent relationship? How should we respond to someone if we sense they struggle with codependency? How should we handle situations where we feel like someone is pursuing us in friendship if they display strong codependent tendencies? How does the gospel free us of our need to be codependent in our relationships? If you’re in a codependent relationship, how might we begin to believe that Jesus is better and that he is enough? How can we best love and encourage those who struggle with codependency from a gospel perspective? What would it look like to walk forward in the freedom of the gospel and welcome one another as Christ has welcomed us? What 3 resources would you recommend for someone who wants to grow in better understanding codependency? What is the root of loneliness? How can you remember that Jesus is better? How can a Christian find hope and freedom from unhealthy friendships? HelloFresh is a meal kit delivery service that shops, plans, and delivers step-by-step recipes and pre-measured ingredients so you can just cook, eat, and enjoy. For a total of $60 off, that’s $20 off your first 3 boxes, visit hellofresh.com/journeywomen60 and enter JOURNEYWOMEN60. Six Notes Clothing is a scripture apparel and accessories company that reminds us of God's word throughout the day and shows others whose we are. For free shipping on your next purchase, go to www.sixnotesclothing.com and use code JOURNEYWOMEN.